When beams of ultra-short laser pulses running in the same direction intersect with each other at a noticeable angle, various interactions occur between the pulses. These physical phenomena are complicated, and their mathematical description becomes computationally complex. To carry out the appropriate simulations, entire computer clusters have to be engaged. The latest version of Hussar software makes it possible to perform the calculations even on an ordinary laptop. Light pulses lasting millionths of a billionth of a second now play a key role in many experiments and measuring systems. When there is more than one laser beam with pulses, their mutual interactions give rise to interesting effects. Unfortunately, modelling of these effects has, so far, been difficult. When the overlapping beams run in a collinear fashion, the modelling of their mutual influence can be accomplished without approximations, relatively quickly and efficiently. However, in many applications ultra-short laser pulses have to converge at an angle. The mathematical description of the occurring phenomena then becomes so complicated that, for simulations to be finished in a reasonable time, whole computer clusters have to become involved. 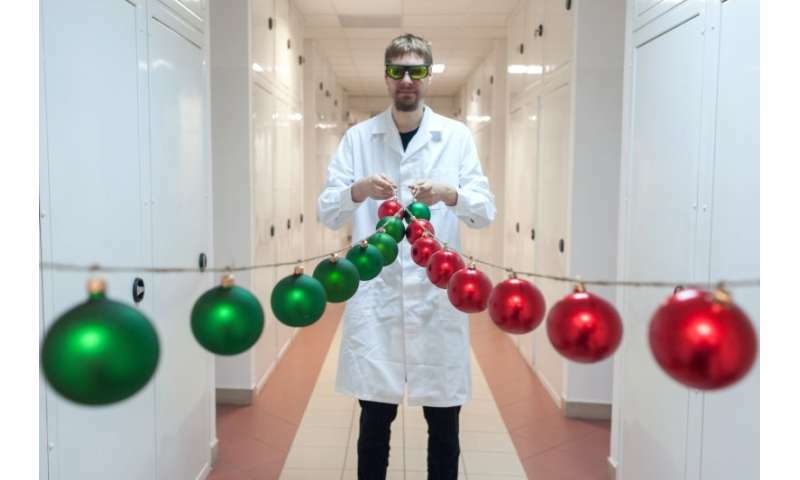 Now, thanks to Hussar software from the Laser Centre of the Institute of Physical Chemistry of the Polish Academy of Sciences (IPC PAS) and the Faculty of Physics of the University of Warsaw, anyone can perform the appropriate simulations on even an ordinary computer. "The changes introduced in the latest version of the Hussar program are radical. Experiments, which until now could not be simulated even by large laser centres, can now be designed—and after a certain time, probably also performed—by researchers from much smaller laboratories," says Dr. Tomasz Kardas (IPC PAS), author of the software. Until now, to accurately describe the interaction of two or more converging beams of ultra-short electromagnetic pulses, the FDTD (Finite Difference Time Domain) method was used, using full Maxwell equations. In terms of calculation, FDTD is extremely time-consuming: a single simulation takes supercomputers many days. The situation was exacerbated by the fact that even after the involvement of computational clusters the results obtained in an acceptable time were for small volumes, often only micrometres in size. For these reasons, those dealing with laser opticians used so-called unidirectional methods, especially those using the equation known as NLSE (Nonlinear Schrödinger Equation) and the less known but more accurate UPPE (Unidirectional Pulse Propagation Equation). These equations enabled simulations of pulse propagation over long distances even on the order of meters. Simultaneously they were also imposing a serious limitation: the overlapping beams had to be practically co-aligned (approximated results could be obtained for beam deviation not exceeding one degree). 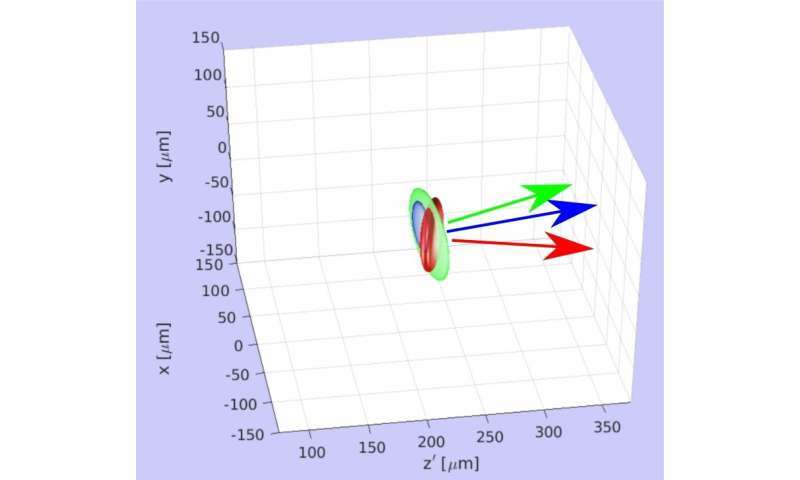 "For some time now, we have been developing our own software which simulates without approximations what happens when femtosecond laser pulses overlap, naturally taking into account so-called non-linear phenomena. Like others, we were limited to collinear beams for computational reasons. Fortunately, we have recently been able to significantly improve the mathematical description and use unidirectional approach for modelling of beams at their crossroads. We have used the occasion to create some interesting tools as, for example, pulse electric field rotation algorithm which is thousand times faster than the interpolation usually used for this purpose," explains Dr. Kardas and emphasizes that tests of the modernized software were possible, among others, thanks to cooperation with the Interdisciplinary Center for Mathematical and Computational Modelling at the University of Warsaw. The latest version of the Hussar program makes it possible to design, for example, a device for time resolved fluorescence. Such devices use the fact that when a femtosecond laser pulses enter the interior of a non-linear crystal together with a week fluorescence signal, a third beam appears, with frequency being the sum of both frequencies of the primary beams. The fluorescence signal can therefore be summed with the gating pulse, which provides an exact information on the time of the fluorescence occurrence. The described processes, however, become particularly efficient when the angle between the interacting impulses is about 20 degrees. Simulating such systems went beyond the capabilities of the existing software. Now, however, using the Hussar program, beams that cross at angles of even 140 degrees can be modelled. The improved software enables the design of optical experiments which had to be improved in laboratories through costly iterative experiments. For example, if one of the pulses is very strong, it changes the surroundings of the medium through which it travels. As a result, the second pulse behaves as if it is passing through a lens induced by the first pulse and consequently begins to focus. This phenomenon makes it possible to build ultra-fast snapshots, with a "shutter" time of the order of femtoseconds. Such an experiment can now be designed and performed with single iteration by a small optical laboratory. On the other hand, Hussar can also help with big optical projects as design of non-collinear parametric amplifiers. These instruments can increase the power of laboratory lasers even to values counted in petawatts. There are equally interesting possibilities with regard to optical systems with three or more beams. Apparatus with this sort of construction is used, among others, in two-dimensional 2-D-IR and photon echo spectroscopy. In vacuum I thought light passed through it self with no interaction except for the very low probability scattering of light by light? I assume it is the interaction of several beams of light with matter that greatly complicates things?